The Ministry of Defence had indeed taken over one school after the war, but this was in Colombo. But my suggestion as to this and other initiatives was not taken up, with Gotabaya laconically telling me that he would have to face even more criticism with regard to what was described as militarism. Later however, after a paper I produced for a Defence Seminar, he told me to go ahead, but I explained that I could do nothing, it was theKotelawala Defence University and other military bodies that had to take the lead – though the KDU, given its civilian agenda, was uniquely positioned to move in this matter without criticism. I did then take up the matter with the KDU but, perhaps because it had to work through civilian academics in many areas, there was hardly any progress on the matter. One Department did produce good ideas with regard to the training of medical support staff, but that alone was not enough, and soon I was not in a position, having protested about what happened at Weliweriya, to pursue the idea. I was put off, albeit very politely, with regard to a paper I had been asked to prepare for a symposium, and the Commandant later indicated wryly that the Secretary had not been pleased about my signing the petition. Indeed, just after the incident at Weliweriya, before I signed the protest, I had presented a paper at the recently established Officer Career Development Centre at Buttala, on the site of one of the Affiliated University Colleges where, twenty years earlier, I had coordinated the English course. I had found the senior officers there as worried as I was about the fact that the army had opened fire on civilians. 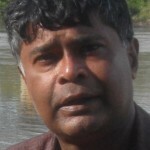 They too recognized how bad this was for their reputation, because it would lend strength to those who claimed that the forces had targeted civilians deliberately in the war against the LTTE. It was tragic then that, as time passed, Gotabhaya seemed to harden and prevent his senior officers from developing, together with liberal civilians, programmes that would have promoted reconciliation. Given both continuing security needs, and the comparative efficiency of the military, there was no doubt that they needed to remain active in the North. But ways and means could have been found of avoiding a heavy handed approach, and promoting civilian leadership which the military could support, rather than seeming to impose itself as an independent authority. The synergy that military training engendered within the forces seems to have been avoided with regard to the Tamil population of the North, and the impression that Gotabaya saw them as outsiders, not people he should care about as equals, became entrenched. 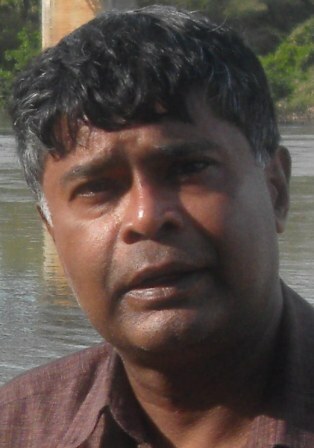 Matters came to a head in this regard when, in June 2014, after some preliminary skirmishes, they provoked violent action against Muslims in the Aluthgama area, at the southern end of the Western Province, with the police taking neither preventive nor restraining action. Both the President and Gotabaya were out of the country at the time, which highlighted the absurdity of a situation in which the country had an octogenarian Prime Minister without the capacity to think or take decisions. There were all sorts of conflicting stories about what had occurred, including the claim that Gotabaya had in fact ordered the police to ensure better control, but this had been ignored. Certainly the President behaved better than his counterpart JR Jayewardene had done in 1983 when there was violence against Tamils. But the plain fact was that the BBS had been permitted to engage in provocative rhetoric and the police had done nothing to stop the rioting that followed. Such echoes of Gotabaya’s fascination with the Israelis perhaps explains why the President had not been told that Muslims in his own party had requested that the BBS rally be banned. He claimed that they had only gone to the affected area afterwards, but this was belied by a Muslim Minister in whom he had great trust, who confirmed that his plea had been ignored. Second, the President granted that, despite the Muslim extremism he alleged, the BBS was a dangerous organization, but claimed that it was funded by the Americans and the Norwegians to destabilize the government. Certainly it was true that BBS personnel had, before the movement was set up, received some Norwegian funding, but it was also true that they had been patronized by the Secretary of Defence. The President claimed that Gotabaya had only attended a meeting at which the BBS was present at his request, but that did not explain why what Gotabaya said seemed to echo the chauvinist sentiments of the BBS. And it was at odds with the claim of the BBS leader that it was the Norwegian they were associated with, a shadowy figure the Embassy, which was more transparent in its activities, should have been wary about, who had asked that Gotabaya be invited as the Chief Guest. The President certainly had no answer to the question why, if the Americans were engaged in a programme aimed at weakening the government, Gotabaya so readily fell into their trap. But, assuming that the President was not himself involved in the move to heighten tensions, it seemed clear that he felt himself straitjacketed. Given that he seemed convinced that it was only hardliners he could rely on electorally, he was obviously not going to take action against such extremists with elections due soon. 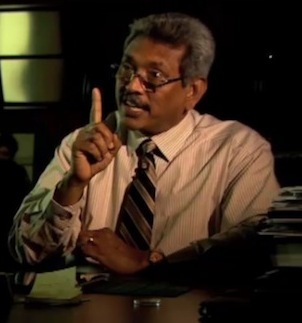 And doubtless he would be held to this position, given that Gotabaya had announced an intention to enter politics, combining this with the assertion that he would do much better than existing politicians. So, though he couched this apparent change of mind in terms of willingness to satisfy a request of the President, if he made one, he was making no bones about the fact that he subscribed to the mythology of his outstanding capacities.